After this keynote presentation, participants will have an understanding on the necessity of having a well-run quality program in their EDs and the importance of using quality metrics to measure ED performance, drive intended clinical behaviors, ensure high-quality care delivery to patients in emergency medicine clinical practice and creation of a blame-free culture. The intention of the lecturer is to create common understanding of, and a shared passion for ED quality amongst international colleagues. After this session, participants will be able to: 1) understand best practices for choosing metrics that ensure high-quality emergency care, such as metrics for: patient throughput, diagnostic accuracy, production of errors and adverse events, times from arrival to therapeutic interventions, and resource utilization (admission rates, use of expensive diagnostics, etc.). In this session, faculty will present the current US standards for quality metrics for managing ED patients with sepsis, stroke and STEMI. A round table discussion will follow with international colleagues focusing on international standards for these metrics, implementation challenges, etc. After this session, participants will be able to reference these three disease-specific US quality metrics, understand the basis for development of these metrics, and be able to apply these metrics, with variations, to their own clinical realities. 14:00-14:30 Too Err is Human: What is an Error? After this presentation, participants will: 1) better understand how to define an error (versus “judgment”); 2) be able to differentiate errors in planning (mistakes) from errors in execution (slips and lapses); and 3) distinguish between errors and adverse events. Participants will also be able to rate an error using the AHRQ Adverse Event Severity Scale, discuss factors contributing to errors, and understand the relationship between error and standard of care. During this workshop, faculty will lead an M&M (Morbidity & Mortality) Conference, an essential piece to any continuous quality improvement program. Three real-word diagnostic errors (sepsis, stroke, & STEMI) from the faculty's hospital, BIDMC, will be presented to the group. As in a real M&M conference, participants will assess whether or not there was an error, appropriately question presenting providers to glean clinical details, offering critical insights and alternative perspectives on paths to care. Together, the group will determine if there was an error, if it was unavoidable given current clinical protocols and pathways and, if not, discuss changes to these protocols and pathways to avoid future errors. After this session, participants will have a good understanding on how errors and patient care can be assessed in a safe, "blameless reporting" environment and used as both an educational tool and an essential piece of a continuous quality improvement program. Participants will learn best practices for implementing M&M conference within their own hospitals. Join us on the Rooftop Bar of the Hotel Baglioni for a welcome drink and network with fellow emergency medicine clinicians. After this session, participants will be able to perform a standardized case assessment and properly assess if there was an error, to grade an error (if it did occur) based upon the AHRQ scale and better understand the relationship between error and adverse events. After this workshop, participants will be able to demonstrate the ability to perform an individual case assessment. Participants will break into small groups and review specific clinical cases, using a standardized approach and grading upon the AHRQ scale. After this review, small group findings will be presented and discussed amongst the group as a whole. Derived from industry, the process improvement methodologies, Lean and Six Sigma, have effectively been applied in healthcare to optimize efficiency, reduce waste, and improve quality. After this session, participants will be able to describe the principles of Lean and Six Sigma and learn how to apply these practical strategies to optimize the quality of care in the ED. In a small group format, we will apply the Lean tools learned in the lecture to real world clinical quality problems in the Emergency Department. Quality care in the ED depends on a high functioning team. This workshop will review the characteristics of a high functioning team and talk about how a team can train together to deliver the best care possible. We will also discuss strategies to help team members who are struggling to improve. During this presentation, faculty will discuss the team-based approach to trauma management that allows for adherance to trauma quality metrics. Following the code trauma presentation, faculty will lead an M&M (Morbidity & Mortality) Conference, an essential piece to any continuous quality improvement program. Three real-word diagnostic errors (trauma-themed) from the faculty’s hospital, BIDMC, will be presented to the group. 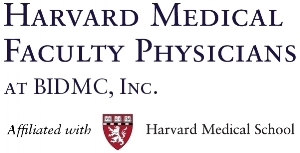 Participants will be asked to simulate the role of BIDMC-attending physicians and assess the clinical errors, appropriately question presenting providers, offering critical insights and alternative paths to care. Together, the group will determine if the error was unavoidable given current clinical protocols and pathways and, if not, discuss changes to protocols and pathways to avoid future errors. After this session and the previous day's session, participants will have a good understanding on how errors and patient care can be assessed in a safe and "blameless reporting" environment and used as an educational tool and an essential piece of a continuous quality improvement program. Participants will learn best practices for implementing M&M conference within their own hospitals. In this session, participants will explore BIDMC's home-grown trigger program which quickly and effectively identifies patients who need immediate assistance, thereby improving clinical quality and patient satisfaction. Participants will learn about the ED-specific “triggers” protocols for heart rate, systolic blood pressure, respiratory rate, and SaO2. Participants will also learn concepts such as defining a trigger team, designating a trigger room, outlining the triggers processes, and training staff. Through its trigger program, BIDMC was able to: cut the average length of time to initial physician evaluation by 45%, cut the average length of time to treatment by 60%, and cut the average time to antibiotics administration by 56%. During this session, faculty will conduct an in-depth review of BIDMC's clinical pathways for DKA, alcohol withdrawal, and syncope, and cellulitis. The group will discuss the practical considerations necessary in the creation of these three pathways, as well as the measurable results from pathway implementation at BIDMC. Participants will be given access to 10 clinical pathways from BIDMC and will have time to discuss implementation challenges due to varying hospital settings, patient needs, and healthcare system realities. In this session, participants will learn about the serious consequences of a missed CES diagnosis, difficulty to diagnose with patients who present with asymmetrical or incomplete symptoms. Patients will see how a cauda-related sentinel event at BIDMC drove the creation and implementation of a LBP pathway to assure quality within neurological emergency patients. One week before the course, participants will be sent 4 articles relevant to ED clinical quality. During this session, faculty will use a "journal club format" as a basis for discussion and debate on these relevant research articles. Faculty will also discuss the importance of using journal clubs as a tool within our departments, and an important component of quality improvement and ongoing clinical education. 12:15-13:15 Certification Exam (Optional). Participants who do not take the certification exam still qualify to receive a certificate of attendance and CME credit.